Pinterest is working with a select group of developers to add additional insights that are not yet available with Pinterest Analytics. Pinterest has announced that it’s working with third-party analytics developers by granting them automated access to some public data through its new Business Insights API. Third-party marketing technology software comes just after the company began testing its Promoted Pins, and has the potential to go beyond the scope of what Pinterest currently offers businesses with its free tool Pinterest Analytics. 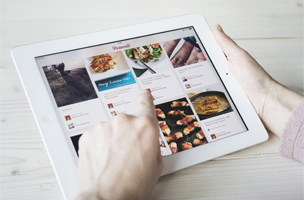 Pinterest says it’s working with a select group of developers to add additional features and insights (i.e. conversion tracking capabilities) that are not yet available with the free tool. However, Pinterest Analytics will remain an important part of the company’s offerings. We know some businesses use third-party marketing tools to help them figure out how they’re doing on different platforms. That’s why we’re proud to announce a new initiative that lets businesses analyze their Pinterest activity using popular marketing technology software, including Salesforce (Exact Target Marketing Cloud), Hootsuite, Spredfast, Percolate, Piqora, Curalate and Tailwind. Businesses that already use marketing technology built by a Pinterest developer partner may start seeing additional Pinterest insights soon. Tailwind has already launched a new version of its software that is powered by the API, one of the first companies to do so. According to the company’s announcement, the brands and agencies that use Tailwind now have comprehensive domain monitoring, which helps them see which images are trending, how users are discussing the brand, and which pins are driving reach. 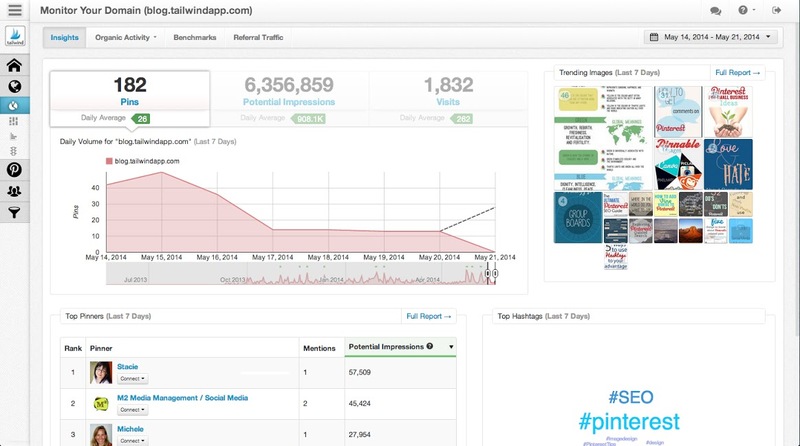 Other updates include the ability to see which pins are most viral in a given time frame, more flexible notification options and a weekly summary dashboard. Businesses interested in working with Pinterest’s Business Insights developers should click on the developer links here and contact them directly. Additional developers are not being signed up for the program at this time.